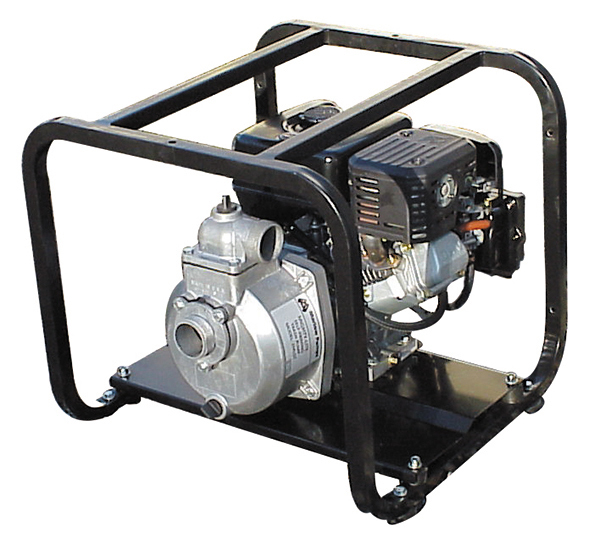 Gasoline engines make the Mighty Lite pumps useful at construction sites lacking an electrical power supply and during power outages. Use for high volume dewatering. They can pump clear or muddy water with reasonable amounts of suspended solids as found on many construction sites and farms. Use where solids are present in water. Models available to handle from 1″ to 2″ spherical solids. Lightweight, portable design is ideal for construction sites. Die cast aluminum casing and engine housing for strength, light weight and durability. Rugged cast iron impellers for longevity and trouble-free operation. Removable, replaceable discharge and suction connections. Now with NPT suction and discharge fittings for connection to standard pipe.